I can hardly believe that Christmas is only two days away... where has December gone?! I am so excited to spend the next few days celebrating. At church on Sunday, our Pastor shared something simple, but very profound about the Christmas season, and I wanted to share it my blog. I love Christmas time... absolutely love it - really, if my blog name wasn't Lisa Loves John, it would be Lisa Loves Christmas. The decorations, Christmas cards, non-stop holiday movies - I love it all. In fact, I don't even have to watch Christmas movies, I can just have them on, fold laundry, and still soak up the wonderfulness of it all. I can recite Home Alone, front and back, and don't even have to be in the same room when its playing to know what's going on and I will still be excited about it! Similarly, we all know the Christmas story, Mary and Joseph, how it all happens... and I love it! But it is important to make sure that Jesus, and the true meaning of Christmas isn't the feel-good movie playing in the background this holiday season. 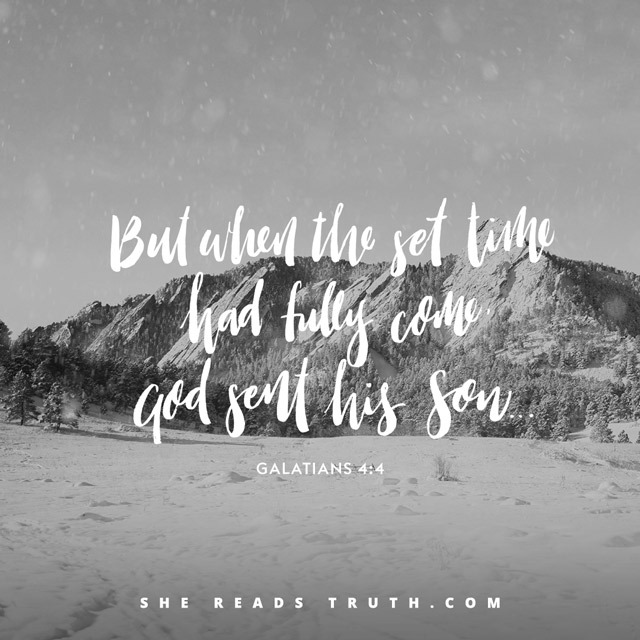 As Christians, Jesus's birth offers us so much more than a "feel good" holiday season, and we mustn't let the familiarity of the story (or the business of the season) tone down the gravity of it all. 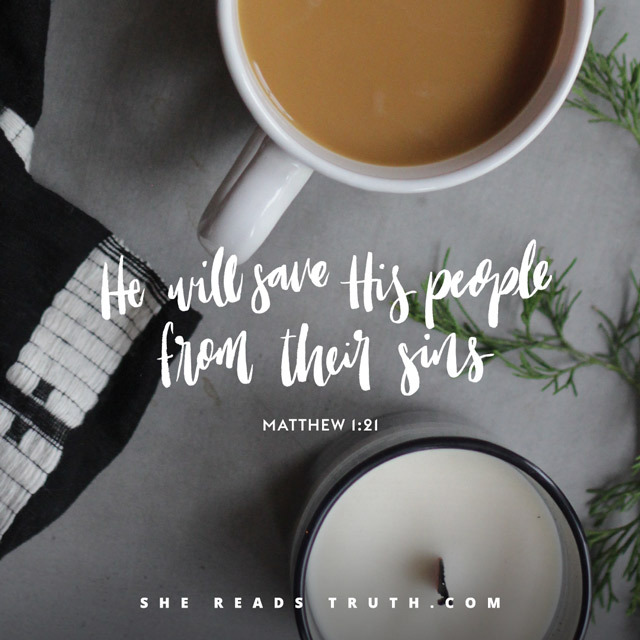 Because of Jesus's birth into this world (and because of His death), our future and salvation are secure in Him. I don't know about you, but I don't want the true meaning of Christmas to be the background noise of my Christmas celebrations - I want it to be the reason! And the funny part is, is that when I am celebrating the true meaning of Christmas, it all becomes so much more wonderful. My prayer is that you too can celebrate the true meaning of Christmas this year - and not just have it in the background. With a full heart, John and I are wishing you all a very Merry Christmas this year!! Check out this throwback for our 2011, 2012, 2013, and 2014 Christmas card! I'm so thankful to work for a company that promotes health and wellness; in fact, on your first day of work at my company, you're given a Fitbit, and you can earn extra money by logging your steps, meals, the hours you sleep, etc. - it's awesome! Recently, my company purchased stand-up desks for anyone who was interested, and you best believe I was all over it. As with most things, I used it non-stop for the first two days, and then never used it again (does anyone else have this problem?! 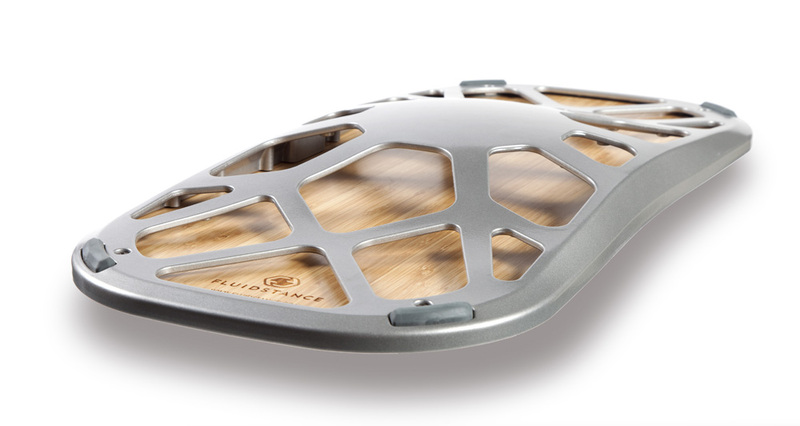 ); however, when Fluidstance contacted me to do a review of their balance board, The Level, I knew I had to give the whole stand-up desk another shot. The Level is basically a balance board that allows you to engage in constant movement when you're standing (kind of like a bosu ball). The first week of using the board, I was conscious of my movements, but eventually it got to the point where I was swiveling and rocking when standing and not even thinking about it! 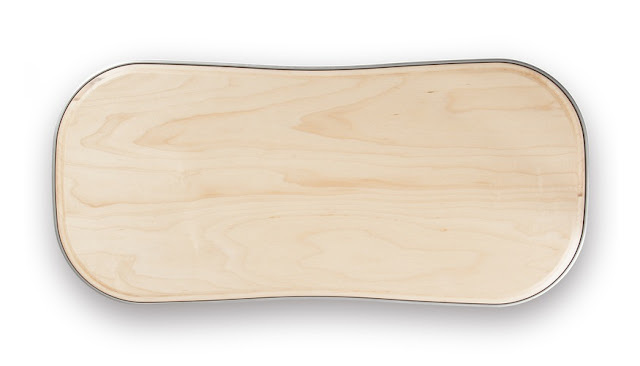 The board has a chic modern look, is very durable, and most of all, it's fun to use (and it's made in the US!). When using it throughout the day, I had coworkers walking by asking to try it out! If your company gives you a technology budget, this is a must buy. I've noticed that my posture is better when using The Level (some how I still manage to slouch when standing! ), and it's much easier to concentrate and actually get work done than when bouncing around on a stability ball. The Level isn't cheap, but to be honest, it is no more expensive than a nice office chair, and it really is an investment in a healthier work life (or just life in general!). And it is a lifetime purchase! If you aren't convinced that movement is important, I encourage you to do a quick Google search about all of the harms of prolonged sitting during the work day - I don't know about you, but I sit way too much! If you have a quick minute, you should read Sitting is the New Smoking - it makes me never want to sit again (even though I am sitting right now... baby steps, people!). Do you have a stand-up desk? 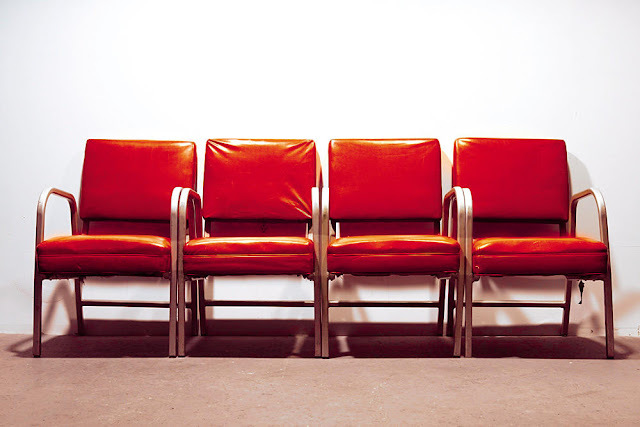 How do you avoid sitting all day? John and I have been on a documentary binge lately. I partially blame the fact that there just aren't any good movies to watch (any recommendations? ), but the truth is, I could watch a documentary on just about anything and find it interesting. I've rounded up six of our recent favorites (I was going to do 5, but I just couldn't figure out which one to cut!). So grab a glass of wine, curl up on the couch, and documentary away! This documentary was my personal favorite of all of the ones on this list. 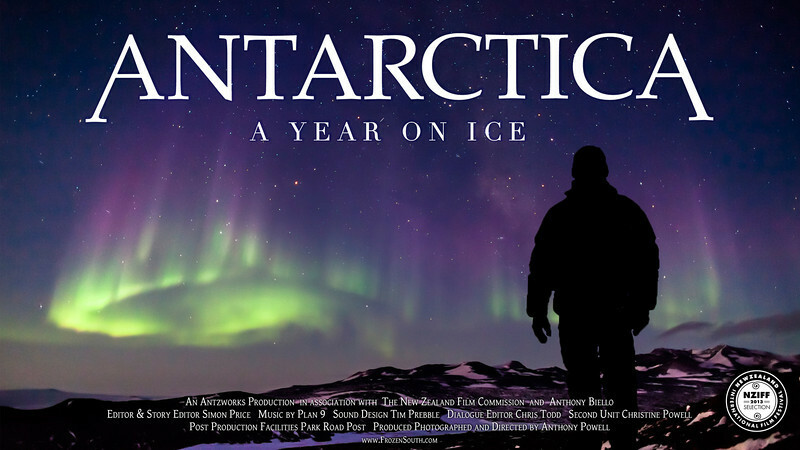 It reviews a year of life on Antarctica. It is important to review the full year since life is so different amongst "seasons." After a certain time of year, no one can come or leave the continent due to the weather, and in the winter, it is basically night time 24 hours a day (I would die!). The people were interesting, the scenery was beautiful (those Southern lights - incredible! ), and quite honestly, I now want to go to Antarctica (in the summer, that is...)! This documentary was John's favorite on this list (in fact, last night he said that he wished he could un-watch it and watch it again... Yes, I know). 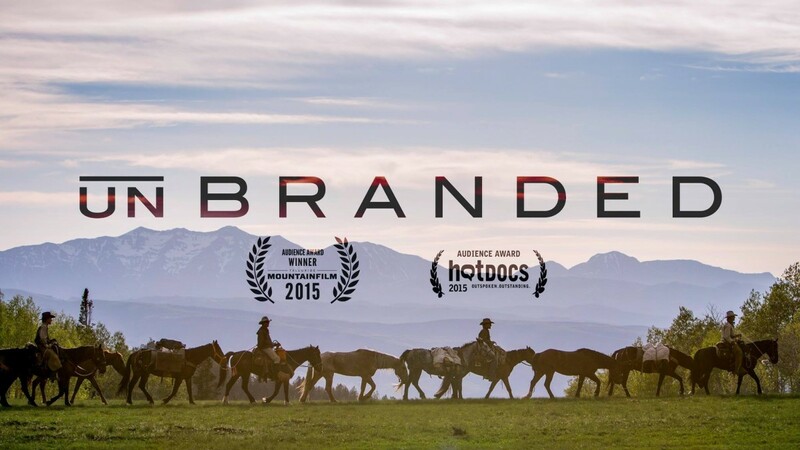 Unbranded is about a trip of recent college graduates on wild mustangs from Mexico to Canada. I'm pretty sure if John wasn't a lawyer, he would have wanted to do something similar. It was a great adventure documentary, and although I wasn't super into the storyline, I very much enjoyed the cinematography of the western landscape - it was very well done! 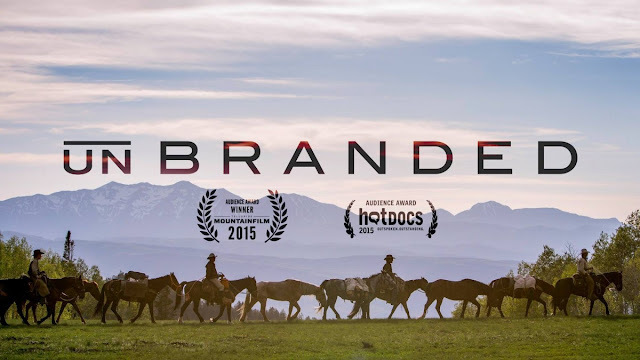 This documentary was 50% crunchy granola and 50% adventure; it featured the founders of Patagonia and North Face, and sadly enough, the founder of North Face recently died in a kayaking accident. I really enjoyed hearing the stories of how the companies started, what the founders are doing now, and the connections between the companies. After watching this documentary, John and I decided that we must go to Patagonia. Like ASAP - we were drooling over the scenery! 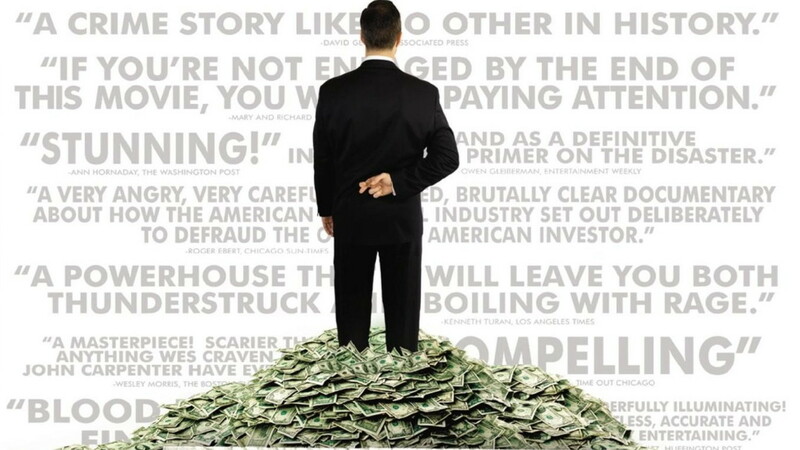 Okay, so, this documentary wasn't the most entertaining movie, but it was super educational about the recent financial crisis. I'm not kidding, the movie is not quite two hours long, but it took us about twice as long to get through the whole thing because I paused it so many times to ask questions. Overall, I am super happy I watched it, and quite honestly, I found the whole thing very interesting. This documentary will also be a good one to watch before seeing The Big Short in theaters. My aunt recommended this documentary to me and John, and I really enjoyed it. 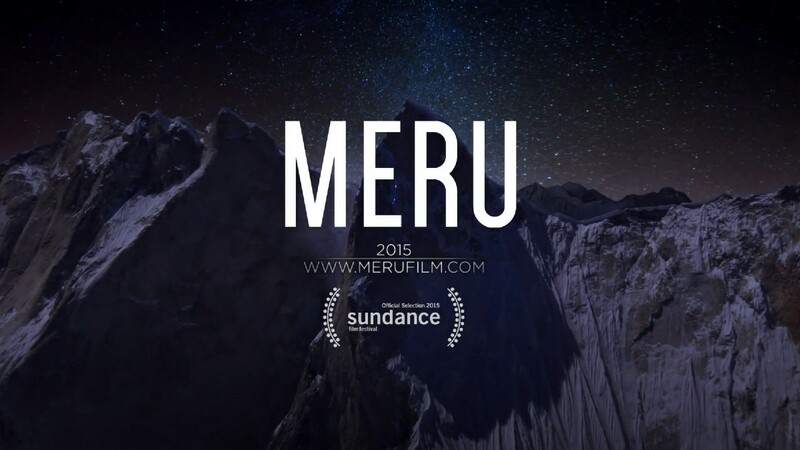 Meru is about 3 men who attempt to big-rock climb the Shark's Fin on Mount Meru (which is basically the Everest of mountain climbing). I have always been into Mt. Everest documentaries, and this had a very similar feel but was with a new story line. There were some brutal moments (so don't come into it with a weak stomach), but I would highly recommend this to anyone who likes Everest-style documentaries. I was a little unsure of this documentary when John first suggested it, but honestly, I ended up really enjoying it. Big Men is about the oil industry in Ghana, and I thought the makers of the documentary did a pretty good job showing the situation from the side of local people, but also the side from the oil companies. 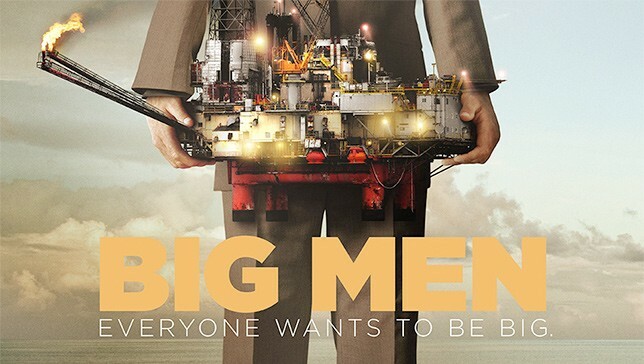 I have seen a few other similar documentaries (on the topic of drilling oil), but still quite enjoyed watching this one. 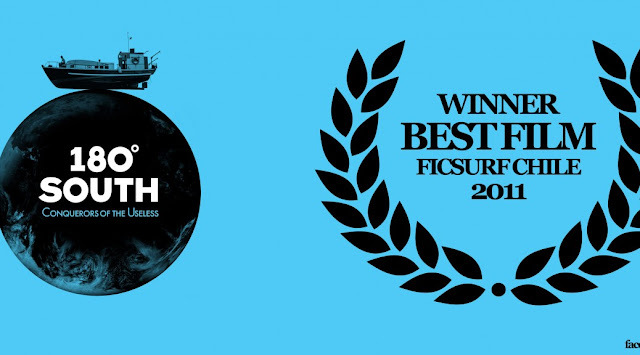 Have you seen any documentaries lately? Send me your recommendations, please! While typing this, I am currently in the process of watching National Lampoon's Christmas Vacation, and snugglin' with my hubby and pup - needless to say, we are in full-on Christmas mode here in the Pray household... and I am absolutely loving it! This will be our first holiday celebration in our new home, and I am absolutely loving decorating for all things Christmas - seriously, the more garland, the better! Below you will find some of my inspiration for the season... 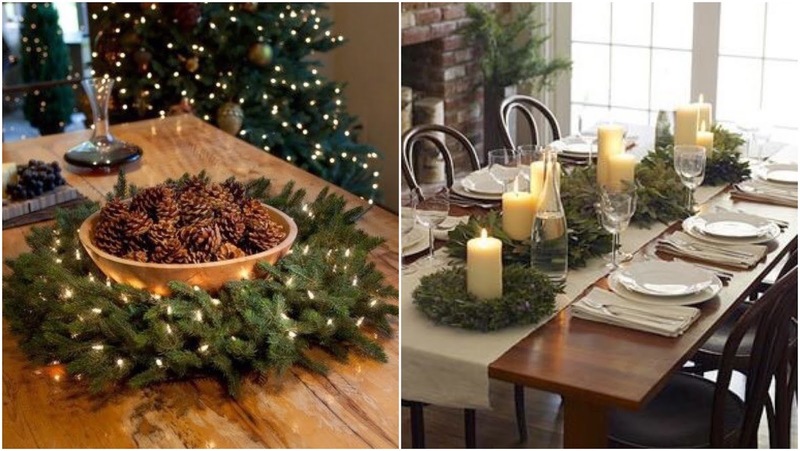 These ideas work great for mantles, tablescapes, or anywhere needing a little Christmas touch - easy, fresh, and 100% festive! 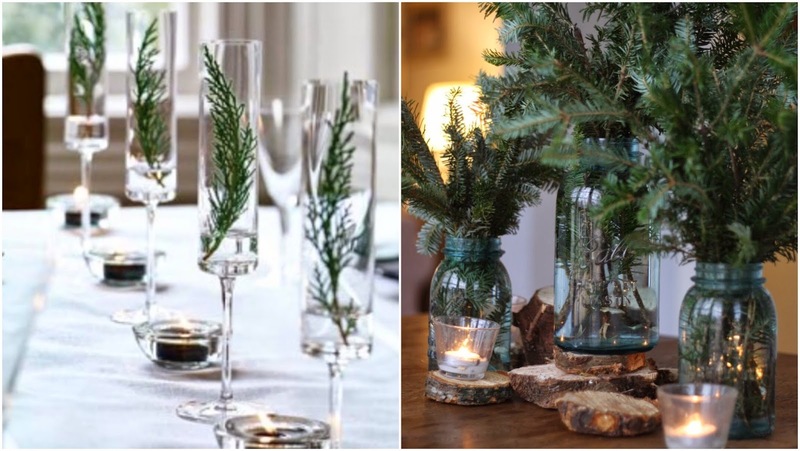 If you have a real Christmas tree, this one should be pretty easy for you - simply trim a few branches from underneath the back of the trim, and place in water for a pretty arrangement. If you're rocking a faux tree (like we are!) you can busy fresh greens from most grocery stores (like Trader Joe's!). 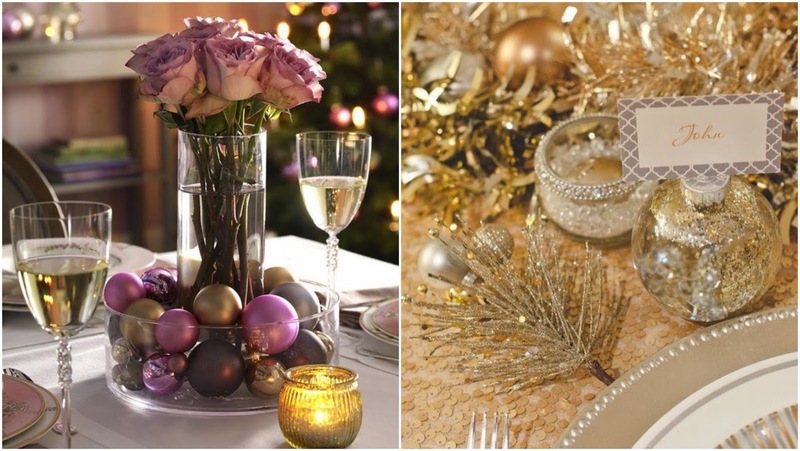 Perhaps I'm just attracted to shiny and sparkling things, but Christmas bulbs make for an easy, but beautiful centerpiece. Mix together different sizes, colors, and textures... put them in a large bowl or vase and voila! Although John doesn't understand it, I buy a box or two of candy canes every year. In fact, I consider myself a Christmas traditionalist, and still hang them on my tree! They make for great place card holders, and a perfect vase liner (just make sure you use a different vase to hold the water so you're not left with a sugary mess!). I'm a little bit obsessed with wreaths right now, and this past weekend John and I browsed Trader Joe's and you can buy mini fresh wreaths for only $5.99 - yes, please! 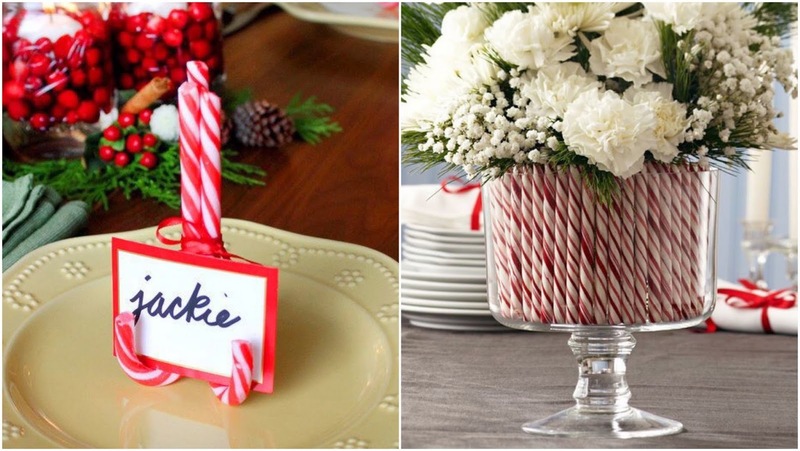 Mini wreaths work great as centerpieces, and would even make for beautiful chargers. Who doesn't love Tartan?! 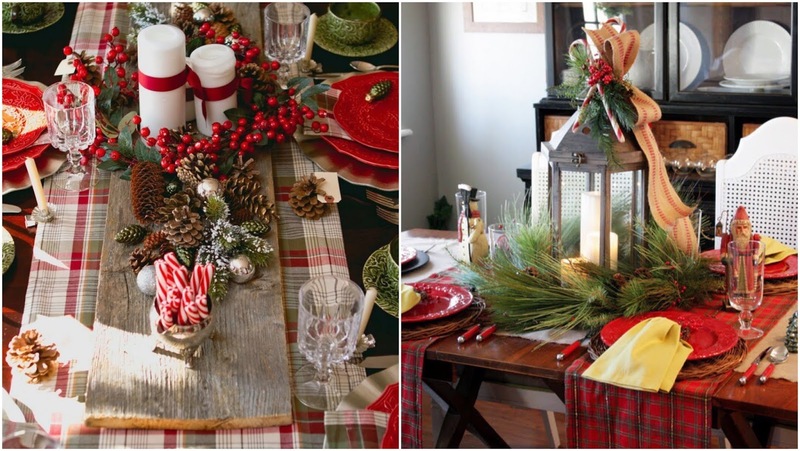 Table runners, place mats, napkins - give me all things Tartan, please! By the way, how amazing is that board on the table in the below photo? Absolutely love the rustic look... perfect for a dining table or buffet! John's parents were in town this weekend, and I don't know if it is all of the family time we've had lately, or if it's because of all of the Christmas lights outside (Texans sure do Christmas right! ), but it feels like the holidays are in full force - and I absolutely love it!! Here's a quick peek of what we've been up to lately! So, the weekend started with a little emergency incident involving Scout... the sweet girl ate a pack of sugar free gum with xylitol. Thankfully, John walked in on her eating it (otherwise we may have never known what happened! ); we had to rush her to the emergency pet hospital and keep her there overnight. She was a sad puppy the next morning when we picked her up, but thankfully she's okay. John's parents were in town this weekend, and we had a great time exploring the River Walk. The River Walk is completely decorated for Christmas with lights, luminarias, carolers - it's beautiful! After a delicious dinner at Boudros, we had some ice cream (which is totally acceptable in December in Texas!) and walked around downtown to enjoy all of the scenery. If you ask me, there was definitely a Christmas "buzz" in the air! And no visit to the River Walk is complete without seeing the Alamo (which looks tiny next to the ginormous tree!). Saturday morning we headed to Fredericksburg, which is a super cute German town. I'm tellin' ya - Texas does Christmas right... the little town had all sorts of German Christmas decorations - including a giant Christmas pyramid. I plan to head back one more time before Christmas just to explore a bit more. Saturday evening we went to dinner at La Fonda on Main and then went to the Spurs game with John's dad. It has been awhile since I have been to a professional basketball game, and the stadium was packed and loud - Spurs' fans loveee the Spurs! We had great seats and a ton of fun... we're definitely planning to go to another game soon! John's parents gifted us a new coffee table for Christmas, and let me tell you, piece-by-piece, our house is becoming a home... and just in time for the holidays! Couldn't help but have a happy heart with a Christmas-decoration-filled home, a fire going, and a pup-dog relaxing! The weekend ended right where it started... dinner on the River Walk! This time at Acenar; we dined outside and enjoyed delicious Mexican food - doesn't get much better than that! We are so thankful for family time during the holidays, and are looking forward to more get togethers soon! I'm not much of a breakfast person, but there is something about chilly mornings (and football Saturdays!) that make a warm breakfast really hit the spot. I'm not a huge fan of eggs, pancakes, waffles, french toast, or pretty much any other breakfast food, but I do love a good breakfast sandwich - especially if a croissant is involved! These breakfast croissants are easy to make ahead and grab 'em and go when you're ready to eat... nothing better right? Start by slicing your croissants in half. Spread a thin layer of spicy mustard on the bottom half of the croissant. Add ham and provolone cheese on top of the mustard. Wrap the croissants in foil, and bake for 15 minutes at 350 degrees. Cut the croissants in half and serve warm. These keep great and are so east to reheat in the microwave (without the aluminum, of course!). If I didn't know any better, I'd say that these croissants have made me a breakfast convert!